If you are an Independent Grocery Retailer and are attending the upcoming National Trade Show at The Mirage Hotel & Casino, Las Vegas, February 9-12, be sure to stop by Booth #1221 to see the latest from Southern Pride! Southern Pride will be launching the NEW Gas Model SRG-400 - The NEXT Generation Smoker! Also, stop by and get an overview of OUR PROVEN GROCERY STORE PROGRAM. 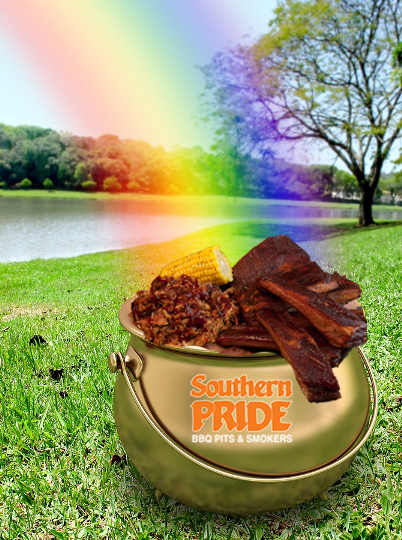 Let us show you how adding Smoked Meats & Signature Items with a Southern Pride Smoker and our Proven Program, will be the next PROFIT CENTER for your business. The SRG-400 offers great cooking capacity in a small foot print. It is ideal for use in your commercial kitchen and can easily fit under your current exhaust hood. Because of the small foot print, it is ideal for use inside a Concession Trailer or Food Truck! JUST THINK OF THE NEW BUSINESS OPPORTUNITIES! Also use as a cook & hold oven and holding oven! Spring will be upon us soon. Get your business ready for new income opportunities. Let us show you 'the way'.